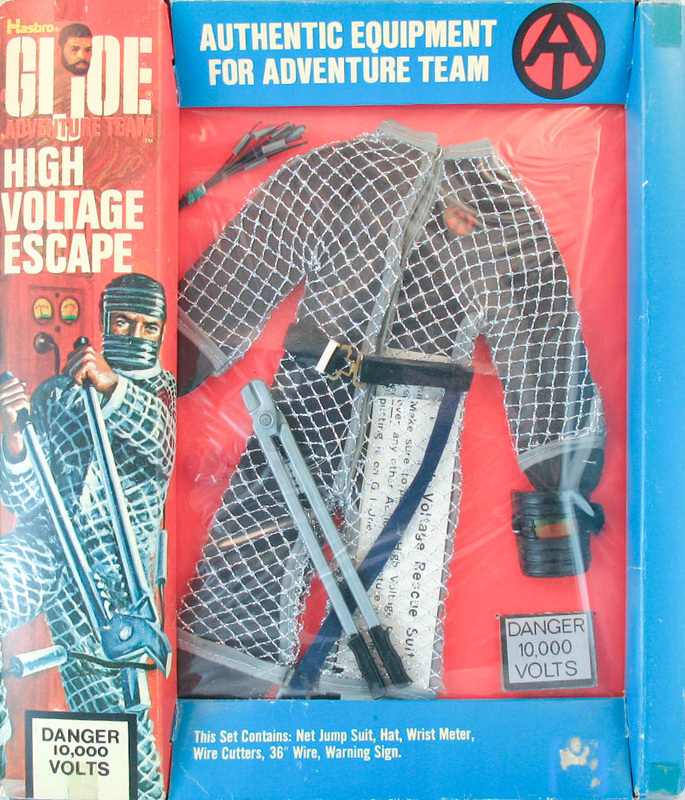 1972's High Voltage Escape (7342) provides the Adventure Team a protective mesh suit and safety belt along with other gear to safely handle downed power lines and other electrical problems. 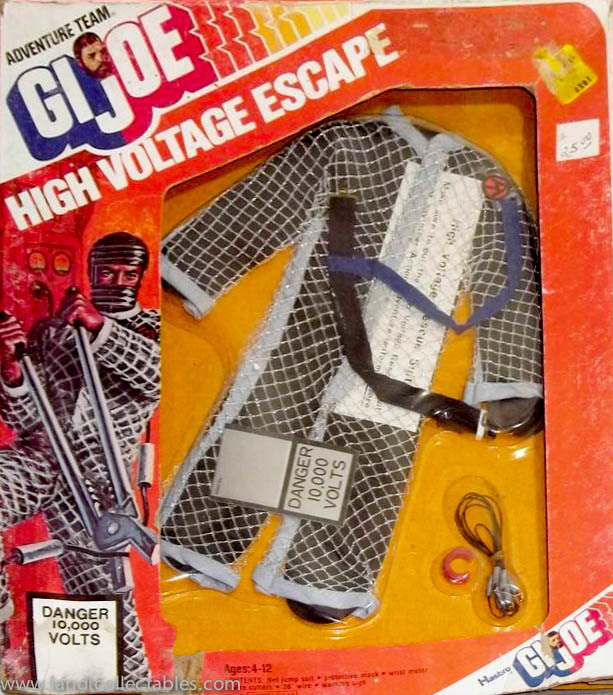 The electric theme came up again in 1975's Shocking Escape. The toughest part of this set to find is the small red wrist meter, whose function is left up to the imagination. The set was re-released in 1975 in an orange frame box that is now hard to find. Image below courtesy of eBay seller kwayne77. See his auctions here!